Compliance is NOT a Thing! We are so fortunate here at KMC University. Each year our team gets to travel all over the United States to speak at dozens of state associations and seminars. Not surprisingly, compliance with Office of the Inspector General guidelines and HIPAA are among the most common topics we present. 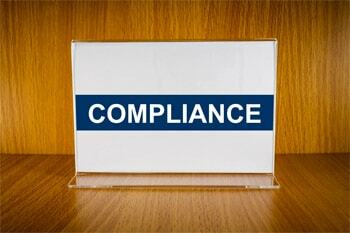 We often poll our audience to learn who has a compliance program installed in their practice. On a good day, it would seem about 20 percent will raise their hands. Frequently, we have the chance to speak further with some of those who think they have a program in their office only to find out that, in fact, they do not have a program. What they do have are compliance manuals. There is an enormous difference! Of course, a compliance manual is important, but it merely serves as documentation for the actual compliance program. The manual should outline the policies and procedures of how the office will bill, code, and document. It should outline how the practice will address the seven major risk factors identified by the OIG. The HIPAA manual should address both the privacy and security aspects of HIPAA. But these are merely “things”. If these manuals do little more than sit on a shelf and collect dust, healthcare attorneys would argue that you are better off not having them at all. These manuals should be incorporated as part of a program; a system of implementing the policies and procedures to monitor, audit and document how well the practice is adhering to guidelines. The practice must implement the system of communication and response to detected errors in compliance. This shows good intent. A binder on a shelf does not a program make. To learn more on how to create a compliance program, members click here or call our Solutions Department at 855-832-6562 to get started.